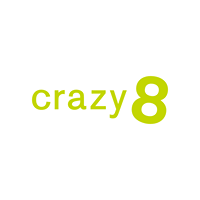 Be a Crazy 8 kid! Shop boys and girls clothes with cool details that you can mix, match and make your own. From 6 months to size 16, we have everything from sparkly and twirly to bright and bold. we're obsessed with value and surprising parents with our too-good-to-be-real deals. So go ahead and call us crazy. Because the crazy ones make GR8 things happen.